When it comes to building and designing large buildings, one of the biggest concerns architects face is the safety of the people inside of it. Whether it’s calculating the load of the building and whether it can withstand the weight or ensuring that the building won’t be affected by adverse weather such as strong winds, there are plenty of considerations to keep in mind and some of them might completely go over your head, especially when you’re renovating an existing office or a commercial property. However, arguably one of the most important security concerns to keep in mind is fire stopping. When a fire starts, it doesn’t take long for it to spread around and affect virtually everything in the building. If a fire starts at the 1st floor of a building, then you’ll need to consider countermeasures to ensure that everyone above the 1st floor can make it out of the structure safely. 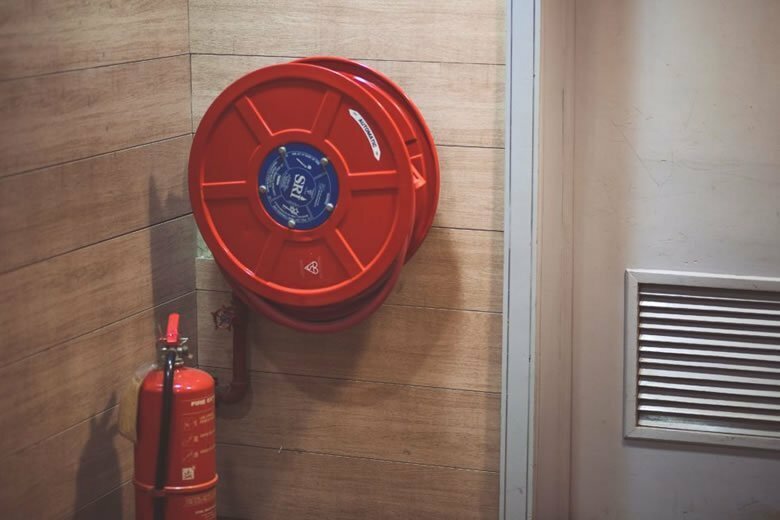 So in this article, we’re going to talk about fire stopping, why it’s important and the type of products you should consider to stop fires from spreading around your building. What exactly is fire stopping? As the name suggests, fire stopping is a passive fire protection system that is made up of several different components that are used to seal openings and prevent the spread of fire around a building. It’s done by creating fire-resistant compartments that can contain fires so that they do not spread to surrounding buildings or compartments that could eventually overtake and engulf the entire building. The system should ensure that openings and gaps are fire stopped so that the fires cannot spread vertically or laterally across a building. In short, it’s a system that is made to prevent fires from spreading across a building and it uses various different tools that are built into the structure of your building. There’s a large selection of products which are designed specifically for fire stopping. Fire covers – These typically provide around an hour of fire resistance and are used for ceilings. When it’s on fire, it expands internally to create a fire resistant material that prevents the vertical spread of fire. Fire sleeves – These are used to fill or seal an aperture that is created by a pipe or cable. These are especially important in office buildings. During a fire, they expand to fill the space around the pipes it is covering to prevent fires from spreading. In the case of plastic pipes, the sleeve will physically crush the pipe to prevent a fire from spreading. Fire collars – Collars are designed to maintain fire resistance levels by surrounding pipes and other penetrations with intumescent compounds that expand when it comes in contact with heat. This creates a fire-resistant seal, closing off the service component and creating an insulating barrier. Fire sealant and filler – Lastly, there’s fire sealant and gap filler which expands when heated at a high temperature. This prevents the spread of smoke and fire throughout a building and there are many different types of fire sealant and filler. When it comes to accidents that could destroy your business, a fire is perhaps one of the most deadly because it can take lives very easily and also wipe all of your data and hardware, making your business effectively redundant. In many cases, simply reacting to the fire isn’t enough to stop it from spreading quickly and destroying your office so it’s important to have a pre-emptive method of protecting yourself from fires in your office or business. That’s where passive fire protection comes in handy. Passive fire protection is often used to describe a number of different strategies and products that are used to passively help you deal with fires. For instance, it could mean some kind of product that is installed into the structure of your building when it’s first built or it could mean a product you retrofit such as a fire collar around certain cables and pipes that are newly installed. 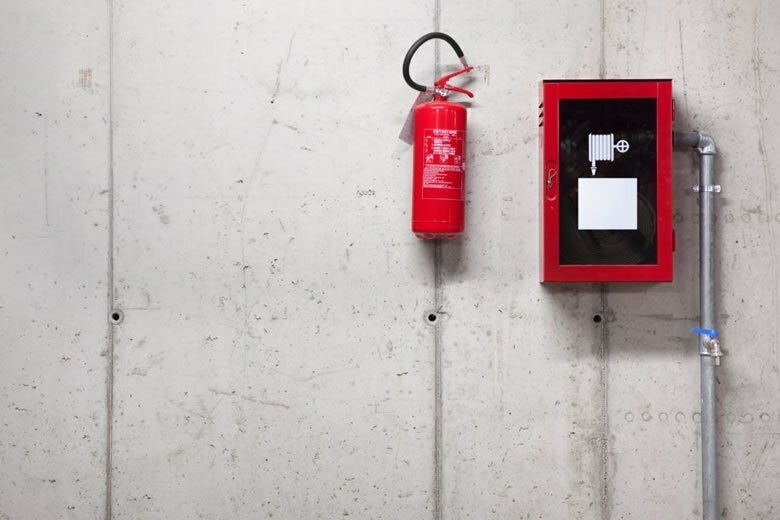 In this article, we’re going to talk about passive fire protection and learn why it’s such an important component of your building or office. What is the purpose of passive fire protection? Contrary to popular belief, passive fire protection isn’t entirely about preventing fires–it doesn’t even have prevention in the name! Instead, the purpose of passive fire protection is to maximise the amount of time people in your building have to evacuate before the fire brigade arrives. As the technology and methods used improve, it could eventually turn into a method of complete prevention of fires in the office, but that’s a very difficult and expensive goal to achieve so the focus is primarily on extending the amount of time people have to react to a fire in the building. This distinction is actually a very important factor when it comes to the type of products used in passive fire protection. This is because the products are designed to actively stop the fires from spreading and little care is given to preserving the individual compartments where the fire starts. For instance, fire collars and sleeves are installed on pipes that could contribute to the spread of a fire from one building compartment to another. These passive fire protection products will crush pipes and seal them when they’re heated, effectively rendering the pipes useless and will require a replacement after the fire is dealt with. Active fire protection refers to anything that needs a follow-up action in order to help stop or combat a fire. For instance, a smoke detector will ring when it detects a fire, and a fire extinguisher needs to be used in order to stop a fire. Active fire protection is therefore reactive and requires some form of input from the user in order to protect against the fire. On the other hand, passive fire protection doesn’t require any user input. For instance, a fire door can form an effective barrier to stop fires from spreading, but it doesn’t require the user to use the door and it will help protect against fire regardless of the user being present or not. Similarly, fire-rated glass and materials are also considered passive fire protection. Fire protection is something that we should all be thinking about and aware of. It’s always better to be safe than sorry when it comes to fire safety matters. Your building’s fire safety can fall into a couple of different categories: passive fire protection and active fire protection. These are meant to work together in the event of a fire, so it’s worth finding out more about them, the differences and how you can get them right in your home or building. When building an office or home or a block of flats, passive fire protection is a major factor to consider. It matters because it’s geared towards preventing the spread of a fire once it starts. This can limit the damage and potentially save lives in the process. It can also slow down the fire for longer, allowing people to get out unharmed. This is all done by using fire resistant walls, floors and doors throughout the building. Fire and smoke dampers can also be used to stop fires spreading via ducts in the building. Active fire protection on the other hand is all about using devices and things like that to stop the fire in its tracks. They’re called active because there’s some form of action is involved, whether that’s manual action or automatic action. For example, fire extinguishers are examples of active fire protection because they can be used to put out fires. Then there are automatic devices like smoke alarms that warn people to get out and sprinkler systems that help put out and stop the spread of fires in the building. These active fire protection methods can be used together to prevent deaths caused by smoke or fire. By working in conjunction with one another, active and passive fire protection methods can make buildings much safer and prevent people getting hurt in the event of a fire breaking out. Just because active fire protection can kick in and halt a fire right away, that doesn’t make passive protection redundant because active devices like alarms and sprinkler systems can and sometimes do fail. And the spread of the fire will be much harder if passive measures are in place while active protection does what it’s meant to. There’s no sense in trying to replace one form of fire protection with another because it simply doesn’t work like that. Instead, you should make sure that there are active and passive measures in place that can complement one another and work in tandem to deal with fires. Even the best active fire protection system can be aided and improved with the help of good passive fire protections. The key thing to take away from this is that these fire protection systems are meant to work together to provide you with the very best safety and protection. When they do that, you and your family will be a lot safer as a result, and that’s what everyone wants.